We manufacturer of Articulation Bearing, Spherical Bearing & Ball Bearing to be used by the OEM Railway Wagon Brake system. Our sincere approach towards quality and client satisfaction has helped us to carve a special niche for ourselves in today's competitive scenario. - We manufacture various types of hot forged rings machined in cnc for bearing races like ball bearings, tapered bearings, spherical bearings, railway bearing components. This is a railway bearing components. we are leading manufacture and supplier of Big Railway bearing on Labour bases or as per your requirement. 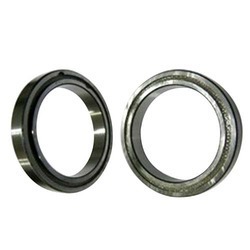 We manufacture bearing in range of 10 kg to 25 kg inner and outer. As per your drawing also it can be made.